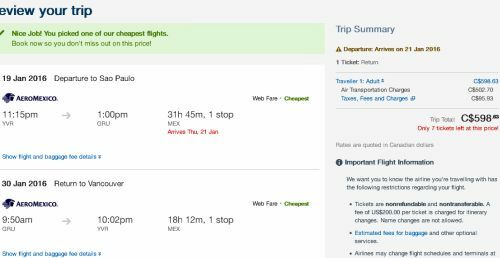 Just when I thought that flights from Vancouver to Brazil surely could not fall any lower, they've dropped yet again, to a historic low of $591 CAD roundtrip including taxes, on AeroMexico. NOTE: The layovers in Mexico City can be really lengthy each way, up to 18 hours. You may only find this deal worth it if you're a traveler that treats the opportunity to check out Mexico City for the day as a bonus. 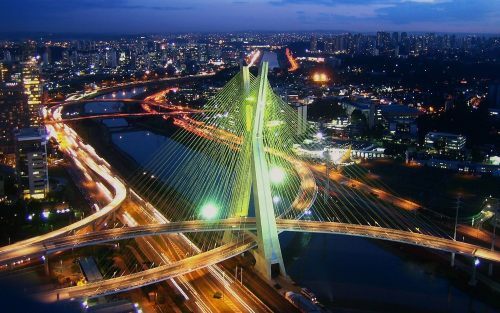 vancouver, yvr, flight deals, south america, brazil, sao paulo, gru and aeromexico.